BRUSSELS (Reuters) - The European Commission opened a formal antitrust investigation into Amazon's e-book business on Thursday, opening yet another front in mounting EU scrutiny of America's global tech giants. The investigation adds to the pressure on the online retailer in Europe, where it is already being investigated for the low tax rates it pays in Luxembourg. The Commission said it would look in particular into certain clauses included in Amazon's contracts with publishers. These clauses, it said, required publishers to inform Amazon about more favorable or alternative terms offered to Amazon's competitors, a means to ensure Amazon is offered terms at least as good as those of its competitors. The Commission said this could violate EU antitrust rules that prohibit abuses of a dominant market position and restrictive business practices. 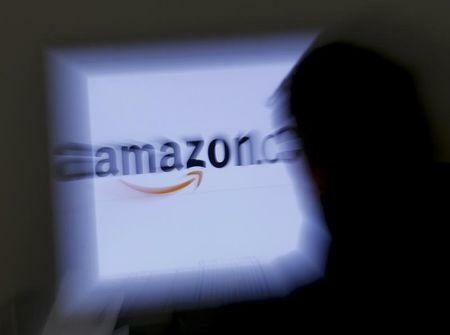 However Amazon said it was confident its agreements with publishers were legal and in the best interests of readers. "We look forward to demonstrating this to the Commission as we cooperate fully during this process," it said. In April, the EU executive opened a formal investigation into web giant Google's business practices regarding web search results, and later this year will conduct a sweeping review of the behavior of online platforms. Antitrust officials are also probing the European tax affairs of Apple, as well as the Starbucks cafe chain, putting U.S. multinationals squarely at the center of concerns over low corporate tax deals arranged with small EU states. President Barack Obama, whose administration is trying to negotiate an ambitious transatlantic free trade deal with the 28-nation bloc, warned earlier this year against Europe turning to protectionism to the detriment of the U.S. tech sector. In the Amazon e-books case, the Commission said it had concerns that the clauses in contracts may make it more difficult for other e-book distributors to compete with Amazon by developing new and innovative products and services. "Amazon has developed a successful business that offers consumers a comprehensive service, including for e-books," Competition Commissioner Margrethe Vestager said in a statement. "Our investigation does not call that into question. However, it is my duty to make sure that Amazon's arrangements with publishers are not harmful to consumers, by preventing other e-book distributors from innovating and competing effectively with Amazon."